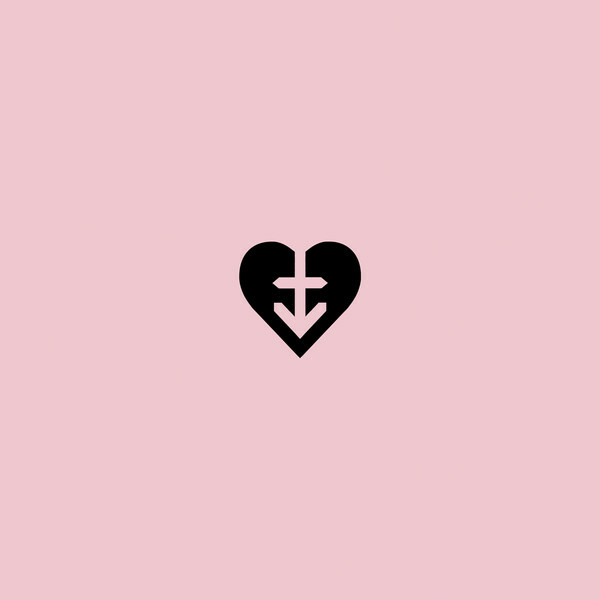 Following on from the success of their brilliant debut record 'Permanent Rainbow', Watford punks Nervus are back in 2018 to bring you the new highly anticipated follow up - 'Everything Dies'. 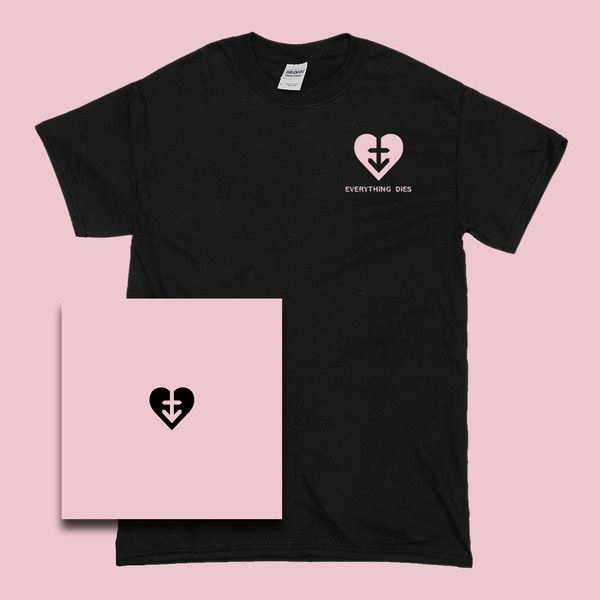 Produced by Bob Cooper (Citizen, Nia Harvest, Kamikaze Girls) and Em Foster from the band, Everything Dies weaves a tapestry of deeply personal, heartfelt lyrics and themes of transition and acceptance, bristling with ten captivating tracks of anthemic pop-tinged, emotive melodic punk rock, that expand on the bands horizons without compromising on their original ideals. FFO Alkaline Trio, Into It Over It. 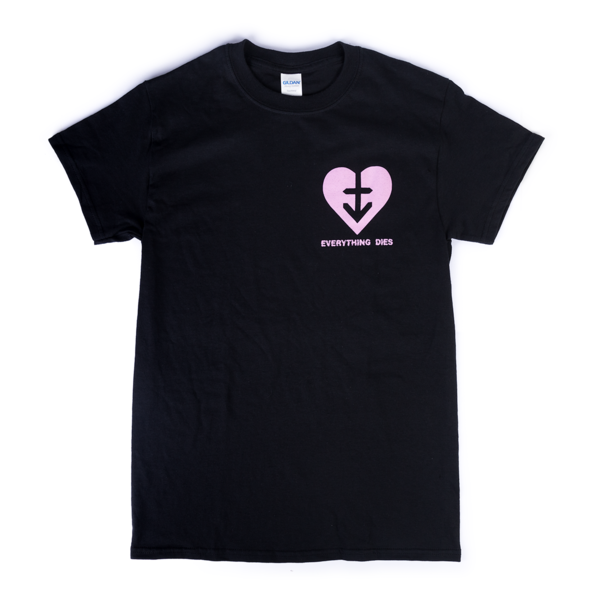 T-Shirt is black, with pink pocket print on Gildan Heavy. 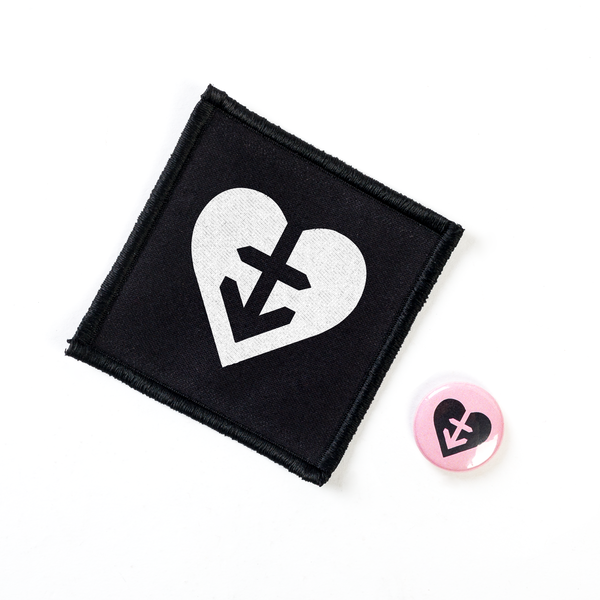 All bundle orders come with a free heart logo badge and patch!